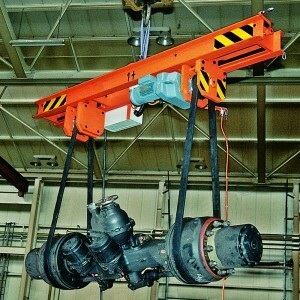 Binding regulations for lifting devices are BGR 500 and DIN 15428. Lifting beam lifting devices for latching in crane hooks or as bearing means lifting beam cranes that are solid -steel constructions, which are made by various welders in accordance with DIN 15018. Lifting beams must be inspected at least once a year by an expert. 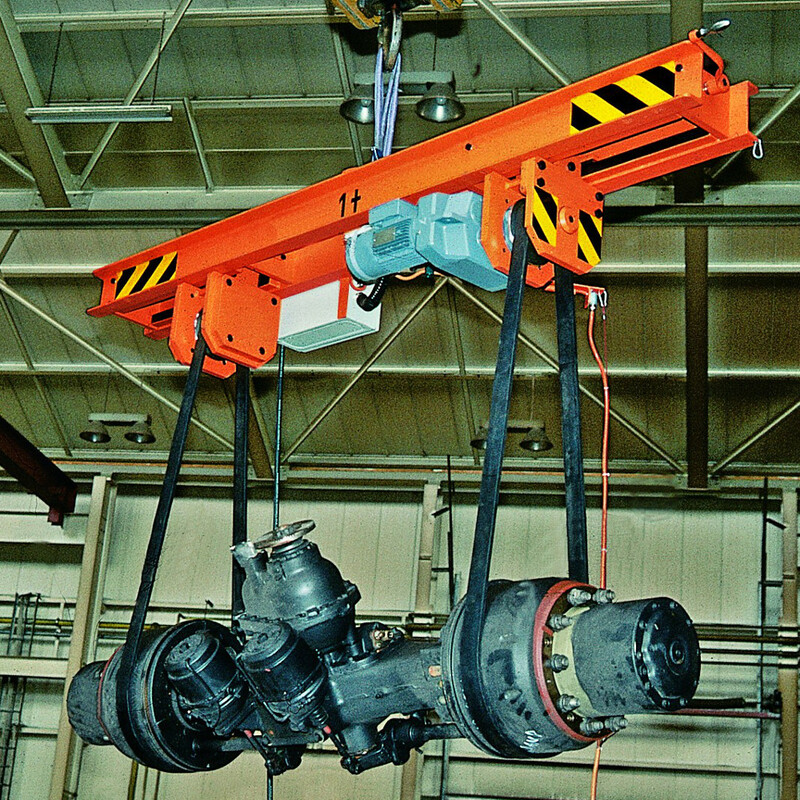 The basis for this inspection is DIN 15409 (lifting appliances, lifting devices, usage monitoring). Repairs must be carried out by Dolezych only. As a manufacturer of lifting beams and lifting appliances, we ensure the proper execution of all works. 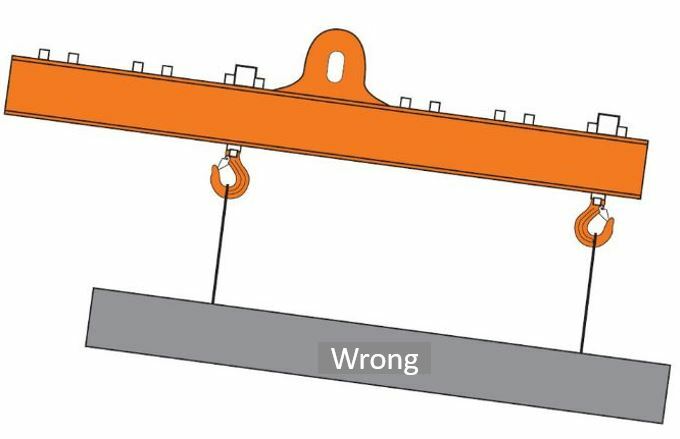 Excentric fitting of loads on lifting beams: If the lifting beam does not hang over the load’s centre of gravity, the load can fall out of the lifting device. 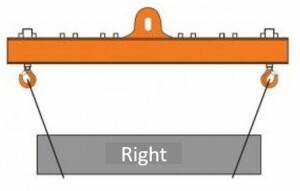 One-sided lifting beam hanging means danger! 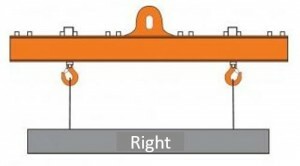 The inclination angle of two strands of a lifting gear must never exceed 60°. 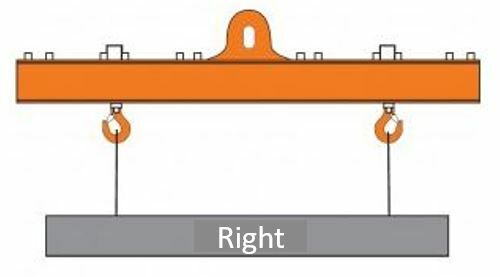 The inclination angle of two strands of a lifting gear must never exceed 60°. Exceeding this angle results in immindent danger. The strain of the single strand increases beyond the entire force coming from the load. Lifting beams allow small lifting heights which allows lifting in low halls. For long loads, inclination angles of the lifting devices can therefore be avoided entirely. 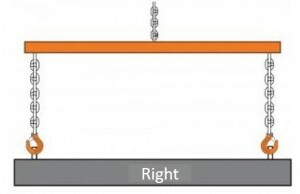 Under lifting beams, the load must be underpinned so that it cannot bend excessively or individual parts can loosen themselves from the load and fall out. 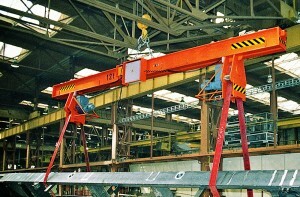 Non-allowed inclination angles are avoided with lifting beams. 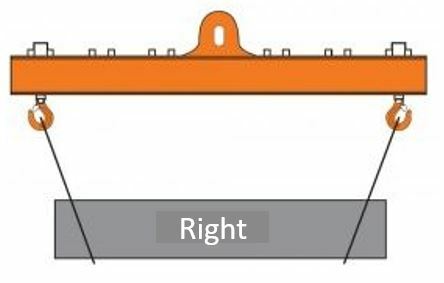 When using a lifting beam, the full carrying capacity of the lifting sling is always used, because the strands hang vertically. 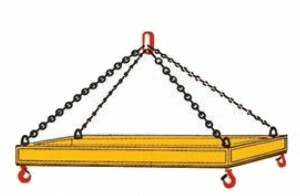 Lifting with opposite inclination angles: The lifting sling can also slip to the side under the load: danger! 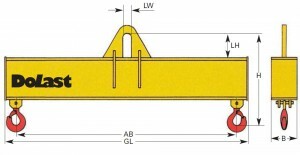 Beams with higher carrying capacities and greater working widths on request. We will custom-tailor beams to your specs in all variants. According to DIN EN 13155 point 5.1.5 any load suspension device that is not in use has to be stored in a stable and appropriate way. Of course we offer the suitable storage devices and racks on request. Type 316 H max.-min. max.-min. 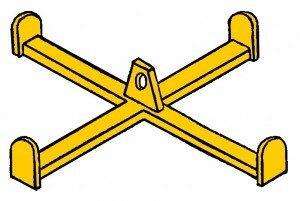 The above beam is available in onepoint suspension and 4 swivable eye load hooks with safety. 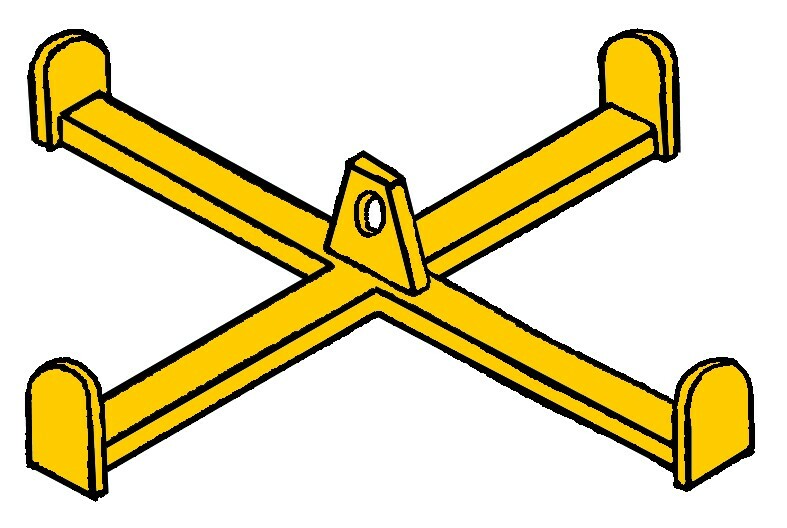 Variant with sturdy pofile steel contruction with 2 cross beams adjustable in the grid and 2 setting straps. The beam suspension is dismountable for transport, i.e. 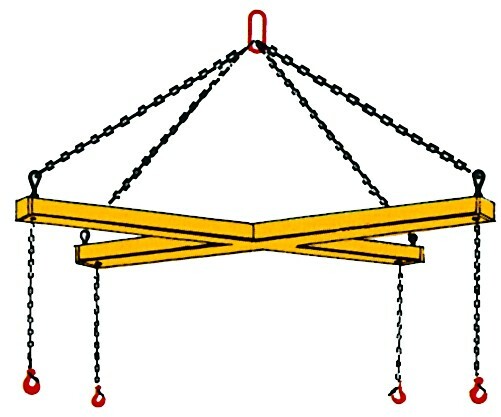 cross beams and the suspension straps can be removed. Delivered with fully mounted cross beams, type plate and carrying capacity label. The design is intended for single transport of lattice boxes. It has two rigid hooking-in hooks and two swivable hooking-in hooks connected with a handlebar. 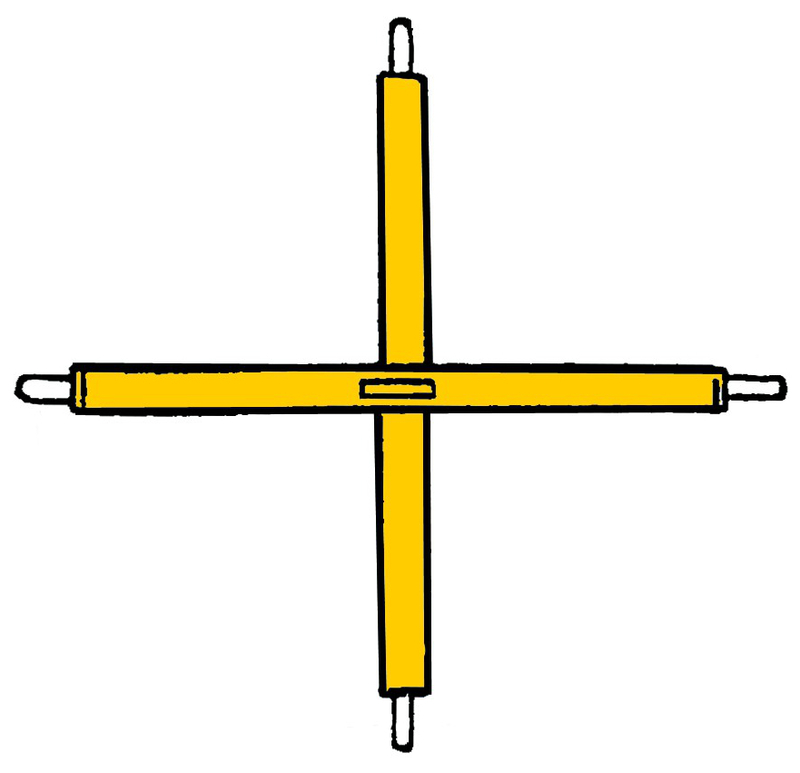 It can be notched to and removed from an individual stopper to the lattice box. Do 209 With 4YAS welding hooks with safety, for big bags. Do 210 With 4 head plates for big bags, easy hooking in and unhooking. 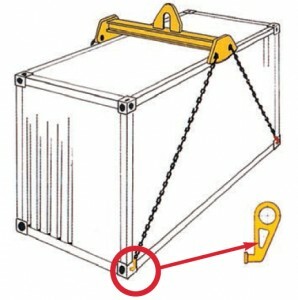 Do 211 With 4-leg chain suspension or welded one-point suspension, in order to accept lattice boxes, big bags, etc. 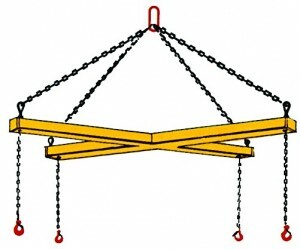 One-point suspension, manually adjustable in width, with Dolezych endless web slings. 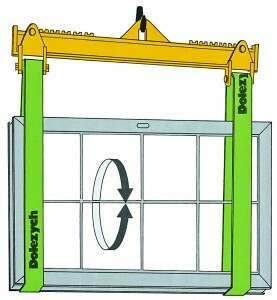 DoLast turning beams can be equiped in all carrying capacity classes with electric engines. 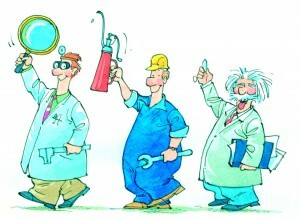 For mechanical turning, two employees are required. Only one employee moves the load for electric engine turning. A lack of knowledge on how to handle heavy or bulky parts is often the start of the end. If loads are moved, reversed or turned with “Heave ho!” remarks and inappropriate tools, it does not take long for an accident to happen. Prevention is better. 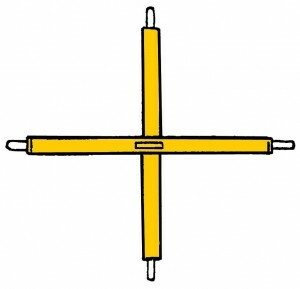 Use DoLast turning tools with the help of which your valuable goods can be professionally turned and moved – smoothly and softly. Loading tools for Do 112 container beam, with CH-3 container hook, suitable for 20 ft. and 40 ft. containers can be found below.